As regular readers get bored by know, I often occasionally mention my kids. Laura is going for School Captain. Gets announced tomorrow. She did a 1 minute 34 sec speech at her school assembly in front of 1,200 kids and teachers last week. She worked on the speech for 6 hours. 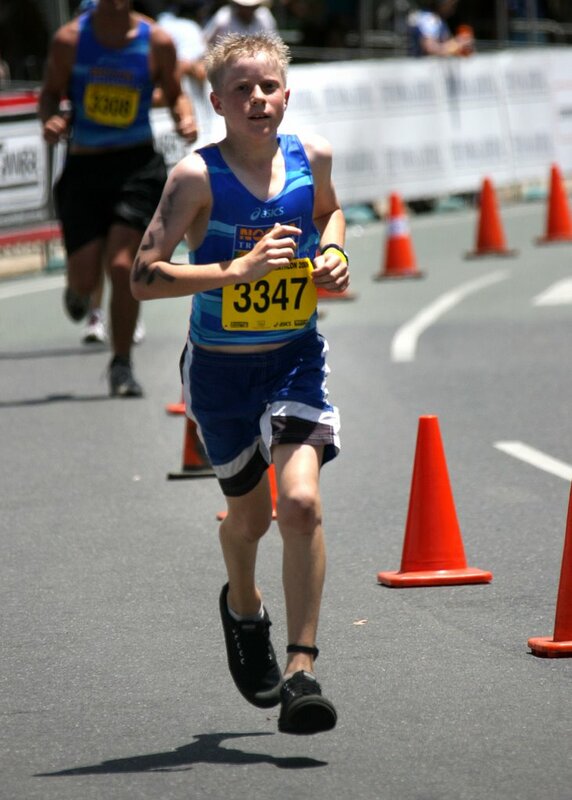 Laura is also running the 10 km run leg in the Noosa Triathlon next weekend. She’s never run 10 km before. She’s part of the brilliant Team Sinclair – I’m doing the 1.5 km swim and Jack is doing the 40 km bike leg. I haven’t swum for about a month. If I don’t blog next Monday it’s because I drowned during the swim. That last line won’t be so funny if I do. No it won’t by funny but would be some mad publicity. Think of the traffic. Digg, Slashdot, mainstream media. Oh man. That’d be some sweet numbers ticking over for 24 hours or so.